In the filter text box enter xml, this should show only the wizards related to xml. Expand XML category and select XML File. 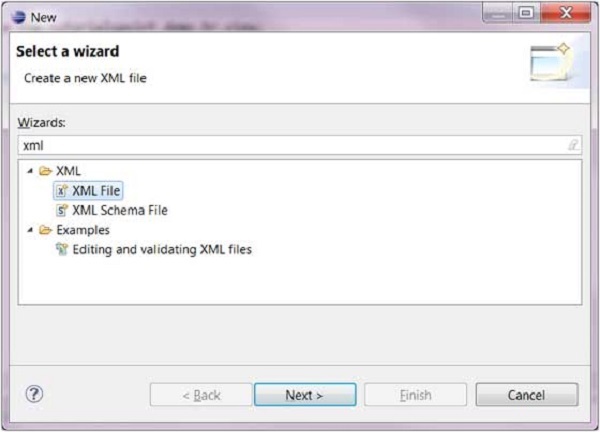 Click on Next to bring up the New XML File wizard. Clicking on the File menu and selecting New → XML File or. Clicking on the XML File button ( ) on the tool bar. Enter or select the parent folder. Enter the name of the xml file. Click on the Next button to base the xml file on DTD, XML Schema or XML template else click on Finish. The newly created XML file should appear in the Package Explorer view and an XML editor instance that allows you to modify the newly created XML file should appear in the editor area. 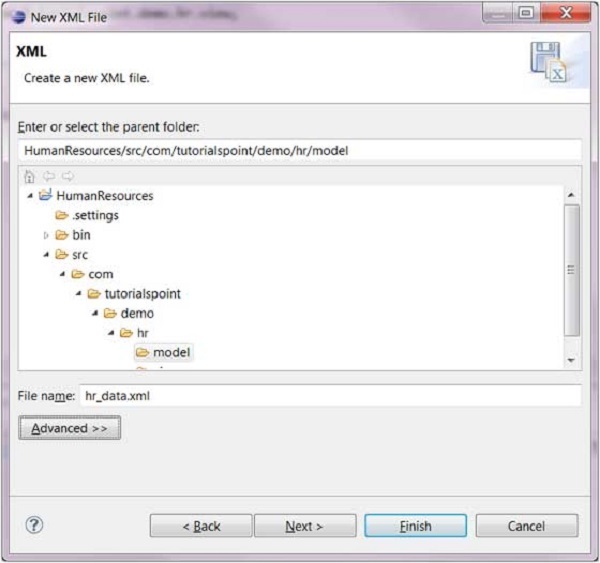 The XML editor allows you to edit an XML file using either the Design view or Source view.